I don’t hate TOMS, I promise. The truth is, I do not hate TOMS shoes. I don’t dislike people who wear TOMS, or who make TOMS, or who like TOMS. I think the shoes themselves are pretty cute, and if I wasn’t so stuck up about this I would probably own a pair myself. Yet admittedly, I do take issue with TOMS as a model for charity and as a cultural symbol. Trying to do good is not synonymous with doing good. Others have discussed this point with more clarity than I could. But basically, the idea that actions borne out of good intentions should be granted immunity from thoughtful criticism drives me completely bonkers. When someone buys a pair of TOMS shoes, they are buying a second pair to be given to someone else. Shoe giveaways are part of the product. And part of what consumers are buying into is the assumption that shoelessness is a problem, and that by providing a pair of shoes to someone, they are helping improve the shoe recipient’s life. Is this assumption correct? In the same way consumers should examine the claims and quality of the shoes they buy (Will they really make me run faster? Look cooler? Will they fall apart in two weeks? Are they a good value? ), the claims and quality of TOMS shoe giveaways can (and in my opinion should) be examined with the critical eye of a consumer who is paying for a product. TOMS is a business. Let’s be clear about that. But due to its One for One model, it is often touted as charity-business hybrid. 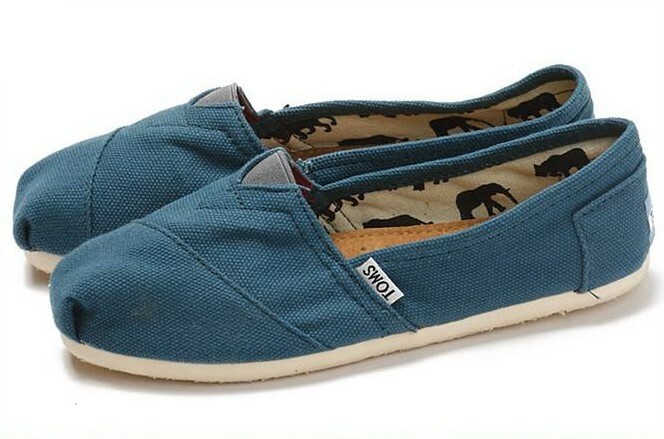 TOMS, if looked at as charity model, is a gift-in-kind charity (GIK). The pitfalls of GIK giving have been well documented. Pretty much any large non-profit organization that provides GIK gets flak from the relief and development community (yet the US government still insists on giving a nice big portion of federal development assistance in the form of GIK – yay!). There are a handful of reasons for this, but the one I find most compelling is that gifts-in-kind can harm local business and markets. This is logical – why buy shoes from your local market vendor when you can get them for free? 50% of the decline in employment? That means that thousands upon thousands of jobs were lost due to the “good deeds” donors thought they were doing, inadvertently preventing thousands of poor Africans from earning a living and being able to provide for themselves. According to The Nation, “between 1992 and 2006, 543,000 textile workers lost their jobs” in Nigeria, as over 150 companies have shut down due to being undercut by outside aid. Those numbers are staggering and hopefully make you think hard for a few moments. One of the assumptions of GIK is that the goods being delivered are not locally available. I challenge this assumption. There are many important goods not available in many developing countries – medicine, birth control, bed nets, fertilizer, eyeglasses (this is why I STRONGLY support TOMS eyeglass giveaways) – but I am not convinced that shoes are not (often cheaply) available in the places where TOMS gives shoes away. Besides first needing to be sure that giving away shoes won’t harm local merchants and economies, and aren’t already available, I think it is wise to examine the basic assumption undergirding TOMS shoe giveaways: that not having shoes is a problem, and that providing shoes can have numerous benefits for children, as well as entire communities. Hundreds of millions of children are at risk of injury, infection and soil-transmitted diseases that most don’t have access to prevent or treat. Healthy, educated children have a better chance of improving the future of their entire community. From my understanding, the logic is: there are many barefoot children in developing countries –> being barefoot puts children at risk of injury and diseases that are often not easily treated –> if children are given shoes they are less likely to contract disease and are more likely to attend school –> the more children that attend school the better –> the more kids in school the better the future of entire communities. This is not too difficult to swallow. Less convincing however, is what their equation is essentially saying: shoes = improved future. TOMS is stating that there is a relationship between shoes and incidences of disease and injury, healthcare, school attendance, success in school, and community-level development. If there’s anything I gained from my pricey graduate education, it was a habit of being wary of claims like this. It sounds nice, but I have seen no evidence that more children wearing shoes is related to a decline in poverty or improved communities. Could it hurt to have more children wearing shoes? Probably not. But the result of more children wearing shoes, based on what we know, is likely to be… more children are wearing shoes. 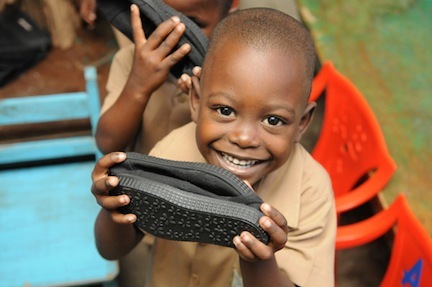 In some places, children need to wear shoes in order to attend school, so arguably the kids that get shoes could attend school when before they could not. But this does not translate into a “better chance of improving the future” of entire communities. My beef here is pretty much what it is about “The Girl Effect” – that nobody should be promising that inputs as simple as shoes or goats or scholarships, are going to result in community or country-level outputs. If what we’re interested in is improving health and school attendance, it would make a lot more sense to put money into addressing what is actually hampering health and attendance. Most illness and death among children in developing countries is due to unsafe water and sanitation. The reasons that children don’t attend school are multiple and complex, and include economic, social, and political factors. We know how to improve health among children, but unfortunately it’s not as easy (or as hip) as a pair of TOMS. So why isn’t TOMS, instead of donating shoes, donating money to health organizations, or towards building latrines, or administering vaccines? Well, would you be as likely to buy a pair of TOMS if instead of a promise to give a similar pair to a child in need, they promised to give to respected nonprofits and charities? Probably you would, but not most people. The One for One model is very compelling, and something about giving something as cool as shoes allows us to dig in our wallets much more freely than say, seeing a photo of a pit latrine. More importantly, TOMS has done an extraordinary job of building an iconic product. To annoyingly and grossly generalize: people who wear TOMS are usually pretty hip. They are people who think about what they wear. Some, maybe a lot, are people who are maybe a little more likely to be aware of, and care about, poor people. And caring, in and of itself, has become a little hip. Wearing a pair of TOMS says that you’re in the loop, you’re a citizen of the world, you care. And this has much more to do with TOMS’ marketing and the kind of person that products like TOMS appeals to, than it has to do with the actual good that TOMS does. I have nothing against dressing well. I fully support it. I also want people to care about the companies they buy from. But I think TOMS, and similar companies/organizations, may have become the poverty equivalent of green-washing. I’d love to see more socially-conscious companies go mainstream, just as it has been nice to see environmentally friendly products become more widely embraced. However, just as you or I should be wary of a dish soap that claims to end climate change, so should we not buy into the idea that shoes, or crocheted hats, or any other product is going to end poverty in entire communities. Let’s dress well, let’s care, but let’s not pretend that doing either of these things is going to seriously address problems as widespread and complex as poor health and education in poor communities. That work is much more difficult, and much less glamorous, than pulling on a pair of shoes. I’ve been working on a blog post for about a week now on my opinion of TOMS shoes (it’s not entirely positive). But, as I read through news article after news article, and blog post after blog post, on the famine in Somalia, airing my concerns over a shoe company just seems irrelevant. I’ll finish it and post it eventually, but right now the very real risk that 11.5 million people in East Africa will die of starvation, deserves all the attention we can muster and more. But this is not a post that will tell you that if you act now, you can save lives in Somalia. It is not a post that will tell you that we have a solution for widespread starvation, or even the capacity to limit this tragedy. It is a post written with a strong aversion to oversell and dishonesty about emergency and development aid and what we can accomplish with it. Because first of all, by “we” I assume I am talking to people very much like me: Western, middle-class, educated, busy but not unmoved by the images of this famine that are showing up in newspapers and online. But let’s broaden “we”. Let’s broaden it to include our policy-makers, both domestic and international, African governments, the UN, other donor governments. Basically, anyone that might actually have power to prevent or respond to a famine. Because when these actors are included, it becomes true that “we” have the technical capacity to avoid widespread famine. But “we” don’t have the political capacity. 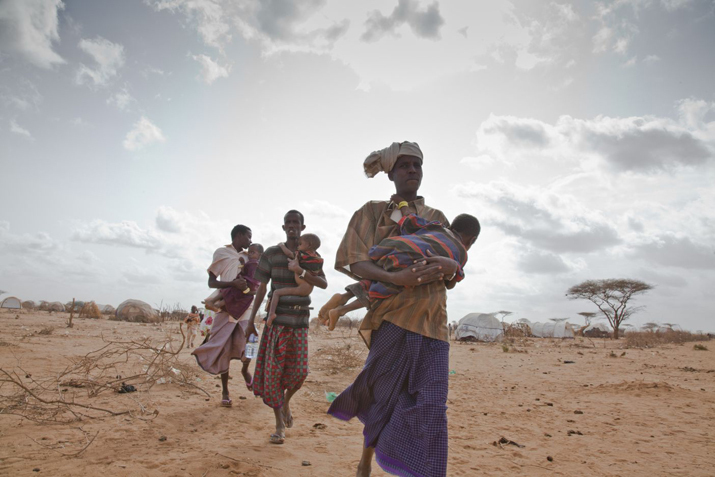 This famine is no surprise to anyone who was paying attention to this region. It was predicted nine months ago. It is, like most famines, a human disaster, not a natural disaster. The distinction is fundamental not only to how “we” respond, but also to who we blame. And this is where I would like to be very clear: some of us in this collective “we” are to blame, and let’s be careful who we blame. Because it is not just one party of the collective “we” that is to blame, but many parts. I think, when the “we” that is limited to people like me, sees people dying in other countries, especially in Africa, for reasons that we poorly understand, we assume that there is something we can do to make it right. We see that something is lacking, food and water for instance, or something that is happening, mineral mining in the DRC for instance, and blame ourselves for not doing something. I would like to say this delicately, because I believe the desire to help and to end suffering is fundamentally good, and should be encouraged and pursued, but there is an amount of arrogance in our response. By assuming that we, by donating money or signing a petition and trying hard enough, could end the suffering of millions of people far from us, we turn a story that is about regional politics and war, lack of political will to consistently invest in viable agriculture in African drylands, a fundamentally broken food chain to and from Somalia, the politicization of aid, and Somalis as active agents, into a narrative about ourselves. This is not a story about how if we just do something we can save people. Nor is this the sequel to that story, about how you and I just can’t get enough people to care about starving Somalis. Famine in Somalia is not an excellent opportunity to reflect on how lucky we are in comparison, to talk about how selfish and rich we are, and feel bad about how little we are doing. 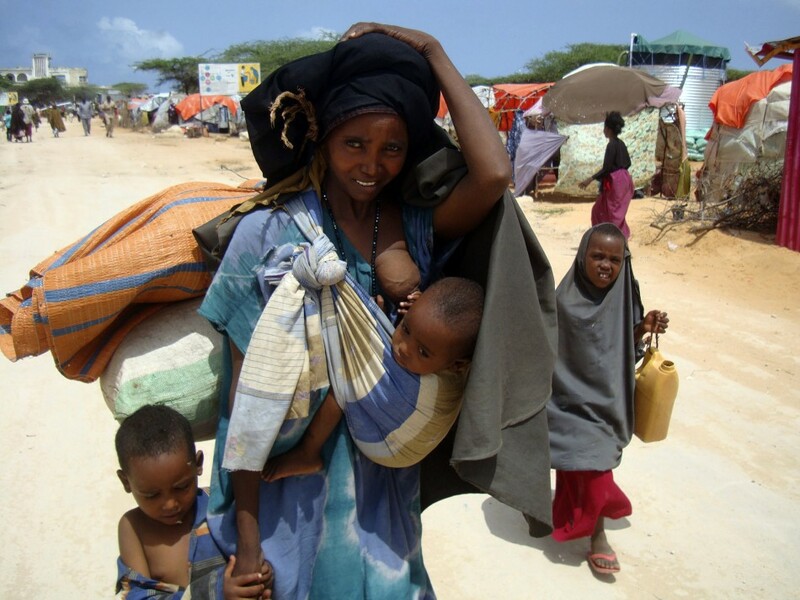 This is a time to do what is necessary to ease the immediate suffering of millions of Somalis, yes. But it is also a time to realize that we are a part of one of the systems that failed to prepare for this famine, but not a part of many of the other causes of it. The truth is, there is only a little you and I can do alleviate the situation in Somalia. That doesn’t mean that we shouldn’t do the little we can. At the same time, most of us are indirectly linked to some of the main culprits – U.S. foreign policy, agricultural policy, and development policy, due to the people we elect and budgets we push for. And I don’t have any helpful hints on how to change those. Yet perhaps the blame that belongs to those systems, through our indirect links, falls on us as well. This is what it means to live in a globalized world: that we are ALL implicated in this famine, and the causes are so dispersed that it is impossible for anyone to escape some amount of guilt – with some deserving more than others. So if we are truly concerned with famine in Somalia we will recognize that the reality of how and why this is happening now, has happened before, and will likely happen again, is more messy and complex than the story we are hearing on the news. If this were as simple as a drought or people needing to donate more to emergency aid, this famine wouldn’t be happening. But please donate, because it saves lives, but do so with humility and sadness, and maybe even anger. You can’t fix this. 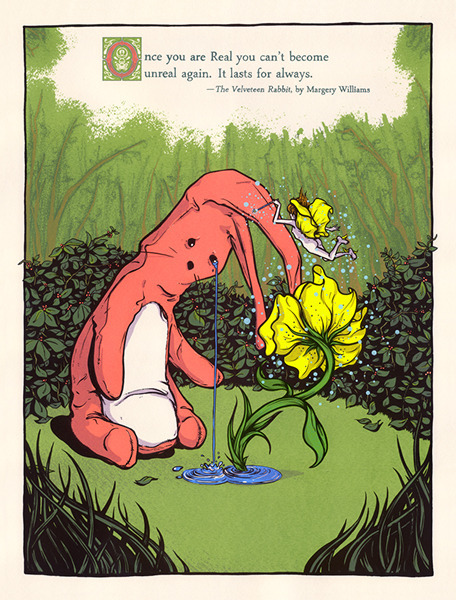 Terrible, terrible things happen, and people do terrible things to other people, there is little we can do and there is no way to not feel terrible about all of this. We must remain uncomfortable knowing that we can’t do enough, but do the little we can anyways. This is what Paul Farmer calls “the long defeat”. Those of us who are in a position to, should push the broader “we” that includes policy makers and governments and development systems, to take responsibility for their role in creating this catastrophe. But even then, much of it is out of our control, and it is hubris to think otherwise. You can read a (passionate and scathing) critique and explanation of what is happening in Somalia and why, with greater details on who is largely responsible, and the limits of our responses, here. The New York Times has a short slideshow of photos from Somalia. Finally, if you can give money (and I’m pretty sure you can), please consider giving to The IRC or Doctors Without Border (MSF). Both are organizations that I trust and have tremendous respect for. I have been following the situation in Côte d’Ivoire (fairly) closely. I just finished an assignment on the topic, and am a little weary (although, not as weary as millions of Ivoirians), but here is a video of pro-Ouattara forces capturing incumbent president Laurent Gbagbo and his wife this week. My only real thought: God have mercy. According to the screen on the back of the seat in front of me, I am writing this a couple hundred miles south of Iceland, just about halfway between London and Toronto. I’m around five hours shy of my landing time in D.C., which should give me plenty of time to write this post, which is one I’ve been thinking about for a while. So go grab a cup of coffee, sit in a comfy chair, and get ready to sit for a little while, because this post is going to be loooooong. Anyone close to me knows that throughout my graduate school career, there has been one topic that continues to capture my interest: pastoralism in Africa. To date, I have written three modest papers addressing different aspects of pastoralism, and have acquired a substantial body of research on the topic as a result. Last summer, for better or for worse, I pitched the idea of pursuing a consulting project framed around pastoralist populations to my graduate capstone group (our school’s version of a Master’s thesis). While we have had disappointments, our team is now consulting for a large international organization to provide recommendations for their programming in a particularly complex and fragile area of Uganda, largely populated by (take a guess! )… Pastoralists. This semester I’m working on a paper discussing pastoralist water resource management in African drylands. And today, I am returning from an international conference titled “The Future of Pastoralism in Africa”, which was hosted in the capital of Ethiopia. This explains why I am flying over the Atlantic. What remains to be explained, however, is: why pastoralists? Why do I keep coming back to variations on this theme? Why do I care? What is the draw and where do I see as my role in these issues? Pastoralists are, broadly speaking, those people and groups that rely on livestock (cattle, camels, and/or goats and sheep) for their livelihoods, and who’s lives are marked by a degree of mobility. Often the terms “nomad” and “pastoralist” are used interchangeably, but “pastoralist” refers to those groups whose social and economic livelihoods are centered around raising livestock, while “nomad” does not necessarily imply livestock herding. There are an estimated 268 million pastoralists globally, with most of these found in Africa. Some of the most well-known pastoralist groups include the Maasai in East Africa, and the Woodaabe and Tuaregs of West Africa, and groups spread across the continent. While “pastoralist” is an adjective referring to people, “pastoralism” is a noun and refers to a livelihood system. A phrase like “livelihood system” might sound like a bit of development gobbley-goop, but it is an important to make the distinction between pastoralism as a livelihood strategy and pastoralism as a mode of production. Researchers of pastoralism and pastoralists themselves, generally regard pastoralism as a livelihood and an identity. This goes beyond merely raising and selling livestock as means for income, and includes an array of cultural, social, and ecological values. This understanding of pastoralism runs counter to decades of past and current attitudes towards to pastoralism, which regard pastoralism as irrational, backwards, and wasteful. Pastoralism is still often regarded as obsolete and illogical by development practitioners and governments, and pastoralist cultures are portrayed as inherently adverse to progress. Regarding pastoralism as a pre-modern, un-productive way of life has influenced a great deal of national policies and development strategies, which up until very recently in most places have prioritized sedentarization as the only rational future for pastoralists. 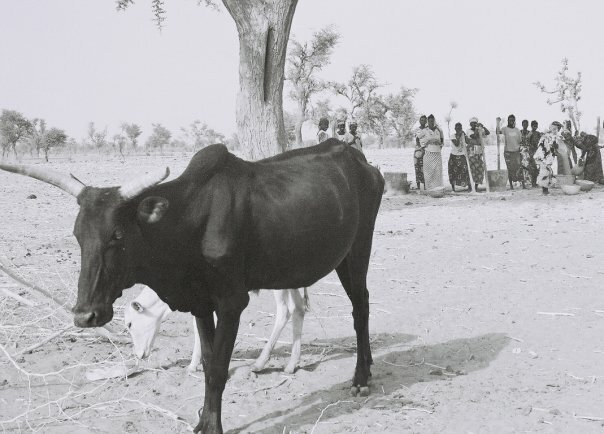 What this essentially means is that many governments, as well as NGOs and other development actors, have regarded pastoralism as opposed to development – that until pastoralists are no longer pastoralists (that is: settled in one place, dependent on farming or some other activity for income), they will not contribute to national development and remain “uncivilized”. This has lead to the political marginalization of many pastoralist groups, as their lifestyles, livelihoods, and values in many ways stand in opposition the values of modernization and “development”. How can these people, who are often moving from one place to another, including across national borders, and who seem to be irrationally obsessed with livestock, possibly be incorporated into the large-scale development schemes of their countries? Hasn’t mankind’s progression been a move from hunter-gatherer, to pastoralist herder, to farmer, to industrialist, to whatever we have now in developed countries? Why shouldn’t governments encourage pastoralists to move to the next stage of development? How in the world do you offer services, such as education and health care, to people who are always moving? This unresolved tension between the promotion of pastoralists interests versus those of larger development interests can be viewed as a failure to understand and appreciate the specific role pastoralists play in unstable environments, especially in Africa. Contrary to decades of policies and thinking that promoted sedentarization and assumed that herds threaten fragile dryland ecosystems, pastoralism is increasingly recognized as one of the most ecologically friendly forms of land use (Cotula, Toulmin and Hesse 2004). It not only “makes little human impact on the environment and gives wild fauna the greatest opportunity to survive in the area”, but also has “a beneficial impact on many aspects of the Sahelian ecology” (Hammel 2001, 18). African drylands have evolved alongside movement of herds, which play a role in the ecology by dropping seeds through dung, consuming residual fodder, and contributing to soil formation and retention (Millennium Assessment 2003). In addition to its positive environmental impacts, mobile pastoralism is often recognized as “the only way humans can make productive use of most of the natural resources in the arid Sahelian savannah” (Hammel 2001, 19). Nomadic and semi-nomadic pastoralism is both “necessary and economically rational”, evidenced by the fact that it makes up 84 percent of the agricultural GDP in Niger, a country where nearly 20% of the population is pastoralist (Davies and Hatfield 2007, 93, 96). In Ethiopia, it is estimated that pastoralist products make up 44% of GDP. Pastoralism provides direct values: livestock sales, milk sales, hide/hair sales, and leather; as well as indirect values: inputs to agriculture (manure, traction transport), inputs to drylands, and forward and backward linkages. In Mali, it has been estimated that, “transhumant pastoralist systems yield on average at least two times the amount of protein per hectare per year compared to both sedentary agropastoralists and ranchers in the US and Australia” (Bremen and de Wit, quoted by Davies: 96). Further unmeasured values include employment, knowledge and skills, environmental management, and global climate control. 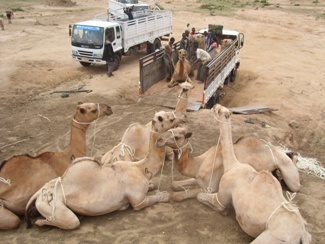 Loading camels in Southern Ethiopia, photo credit to Future Agricultures. A further adaptation of pastoralist production systems “is their capacity to establish and develop reciprocal and interdependent relations with neighboring sedentary communities” (Nori, Taylor and Sensi 2008, 7). Pastoralism and sedentary crop production are “complementary production systems”, and grant favorable terms of trade to both parties. Land and water has traditionally been appropriated and utilized according to customary land tenure arrangements (McCarthy, et al. 2004, 39). These arrangements are the product of decades of interaction and negotiation between different pastoralist groups and sedentary farmers, where the key factor in both the arrangements and the groups has been flexibility and the ability to adapt. Recognition of pastoralism as an important and logical livelihood strategy and use of marginal land is widespread, especially in academic literature. However, with the exception of Mongolia, this knowledge has seldom influenced large-scale development plans and strategies in places where pastoralists are present. When it has been recognized, it has most often been in terms of pastoralism as a production system. Separating “pastoralism as a way of life from pastoralism as a way of production,” assumes that “individuals will be ‘emancipated’ through education from their traditional way of life as pastoralists, but will maintain the same productive role as herders” (Carr-Hill and Peart 2005, 40). This assumption both minimizes pastoralism as an identity, and fails to take into account the concerns of pastoralists, who in the face of shrinking resources and social marginalization tend to frame their concerns in terms of “their own existence and cultural identity rather than an economic concern about the necessity of modernizing their production methods” (Krätli and Dyer, 2006, 16). To summarize: pastoralism is a logical livelihood and production strategy in many parts of Africa. There are, however, many problems, and the information above could sensibly lead one to believe that all there is to be done to allow pastoralists to thrive is to leave them be. This is, unfortunately, unrealistic. Pastoralists live in the same rapidly-changing world as the rest of us, and are impacted by local crises (droughts, etc) as well as international crises (market changes, the War on Terror, etc). Pastoralists do not exist in isolation to the broader problems in many African countries: resource management, climatic events, lack of clean water, disease, hunger, conflict… “Pure” pastoralism has become less common, as pastoralists supplement livestock with other ways of earning a living, in the face of shrinking pastures, privatization of land, population growth, and restrictions on their mobility. Yet even when pastoralists drop out of a pastoralist lifestyle, many continue to identify themselves as pastoralists, and income earned from supplemental activities will often be invested in restocking herds. What initially drew me to studying pastoralism was my time in Benin, where I saw firsthand the political marginalization of Fulani pastoralists. What has continued to draw me back has been the complexity of it all. As if trying to figure out “development” weren’t complicated enough, trying to conceptualize realistic futures for pastoralists, in which they are able to pursue their own goals and also contribute to national economies and politics, is exponentially more complicated. Pastoralists, while often marginalized, often contribute to the marginalization of other groups. While the victims of conflict in some cases, they are perpetrators of conflict in others. How does this challenge our tendency, as Western development pracitioners, to work within oppressed/oppressor frameworks? Pastoralist livelihoods also challenge me to reconsider what it is that “development” is aiming to do: What do we mean when we say all children should be in school? Must pastoralist children stop being pastoralists in order to learn to read and write? Surely the U.S.’s industrial model for meat production is not the ideal: what can it learn from pastoralist models, and how might future markets for meat be influenced by pastoralism in Africa? How imaginative are we willing to be? 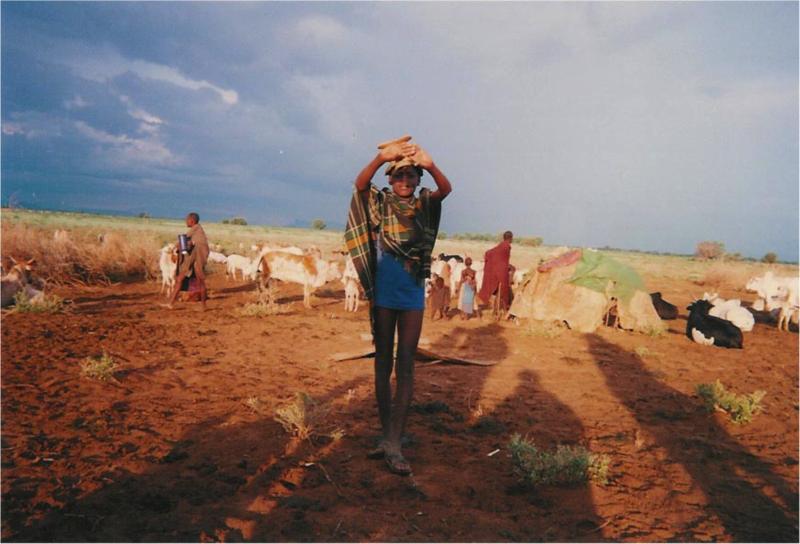 Pastoralist boy in Karamoja, Uganda. Photo by Lokange Ekamais. The conference I just left concluded that there are many different futures for pastoralism: some pastoralists will drop out of pastoralist lifestyles, many will supplement pastoralism in new and unexpected ways. Some will be able to tap into international markets for meat and secondary products, others will not. The resiliency of pastoralists and their ability to adapt will be key. Working out what policies and programming will best serve the interests of pastoralists AND other groups is mind-bogglingly difficult, yet necessary. Implementing those policies is even more difficult. It is up to pastoralists, sedentary Africans, and African governments to direct the future for pastoralism in such a way that benefits are encouraged and problems are mitigated. As an outsider, I look forward to finding ways to support that process. Note: Portions of this post are taken and edited from the paper “Pastoralism and Development in Niger”, that I wrote in December 2009. I apologize if it is too wonky and/or too long! The Feinstein International Center at Tufts University. “1. The health of ‘brittle’ environments, characterized by low humidity, a prolonged dry season, and erratic precipitation, depends on animals to recycle the carbon sequestered in plants. In brittle environments, rest leads to stagnation of the plant community and loss of soil cover and fertility. 2. Large ungulates, wild or domestic, are the most efficient recyclers of plant material, both through trampling and digestion, and are thus NECESSARY to maintaining diversity, productivity, and stability in brittle areas. 3. Overgrazing and overtrampling are principally functions of time, not numbers. Dense herds of great size that move frequently and allow plants to recover before regrazing them recycle nutrients without weakening plants. Even single animals that do not move overgraze the most palatable plants in the areas where they linger. 4. On the enormous unfenced ranges of pre-colonial Africa (and similar brittle environments elsewhere), pack-hunting predators assured beneficial herd behavior, and nomadic herders generally developed similar patterns that have undoubtedly slowed the desertification process. Limited lands, however, demand management that is “holistic” to the extent that it responds to ever-shifting conditions of weather, economics, culture, and environmental conditions. “ Sam Bingham, “Managing Wholes,” A Short History of the West African Pilot Pastoral Program 1993-2002, 2004 йил 12-4, http://www.managingwholes.com/bingham-wappp-p.html (accessed 2009 9-11). What do you think of federally-funded foreign assistance? Times are tough. We were reminded of this yet again during last week’s State of the Union address, with President Obama’s emphasis on the economy. Part and parcel with his discussion of “the economy” came a discussion of our country’s deficit and our need to curtail unnecessary federal spending. Here is the rub: what is necessary and what is unnecessary? Where can we afford to cut costs, and where can we not afford to? Similarly, where should we cut costs and where shouldn’t we? What sort of criteria do we use to determine what is necessary and what is unnecessary? When looking at the federal budget, a group of congresspeople have zoned in on the U.S. Agency for International Development (USAID), the main agency responsible for U.S. foreign assistance. The proposal they have drafted, which aims to reduce the national deficit, would essentially eliminate USAID. This proposal is not completely unexpected, since USAID’s budget has always ebbed and flowed (eh, maybe it has never really flowed) with the tide of politics, both domestic and international. Senator Jesse Helms called for the elimination of USAID ten years ago, when he famously described foreign aid as the equivalent of throwing tax dollars “down a foreign rat hole”. Naturally, I bristle at this. All of us have our own “special interests”, and this is mine. I’m not the only one to have bristled. 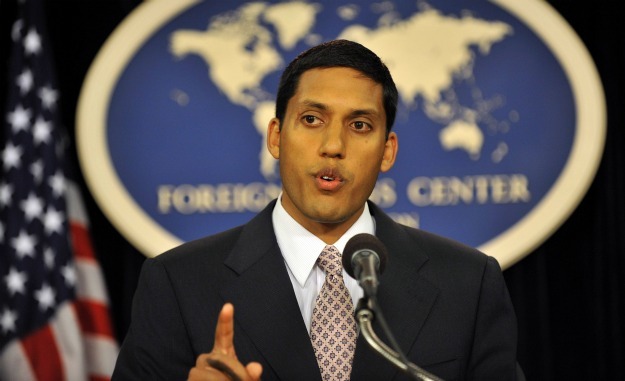 In his response to this latest proposal, the head of USAID, Rajiv Shah, said that the cuts “would have massive negative implications for our fundamental security”, especially in relation to the strategic role U.S. development aid is playing in Afghanistan and Iraq. The U.S. Department of State, which controls USAID, has employed a lot of rhetoric meant to elevate official development assistance (ODA, the general term used to describe bilateral foreign assistance) as a key element of U.S. foreign policy. This policy is often referred to as “the Three Ds”: defense, diplomacy, and development. Do you think the U.S. should provide assistance to developing countries? – The U.S. government spends about 0.44 percent of its budget on foreign aid. – Besides USAID, there are about 25 other federal agencies involved in foreign aid (which are included in the percentage above). USAID is the agency explicitly charged with this, but others do as well. – The top five recipients of US ODA are Israel, Afghanistan, Pakistan, Egypt, and Jordan. – The five poorest countries in the world are Niger, Ethiopia, Mali, Burkina Faso, and Burundi (based on the UN’s Multidimensional Poverty Index). – Learn more about USAID here.